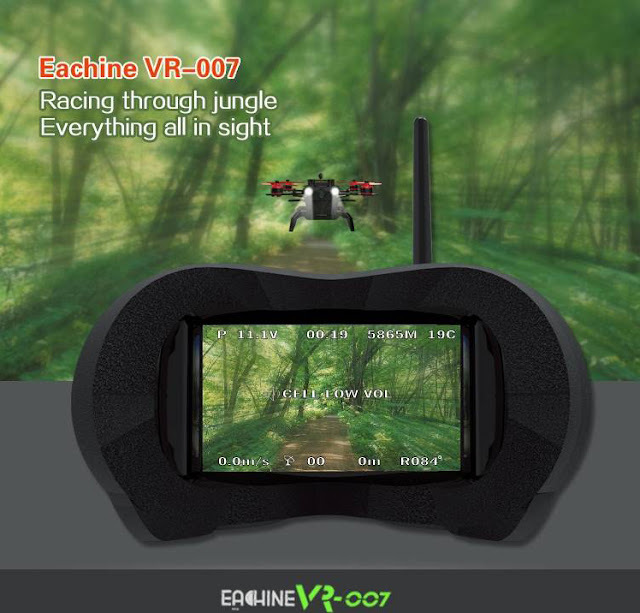 Eachine is definitely setting up a new trend with its latest and cool FPV gadgets. 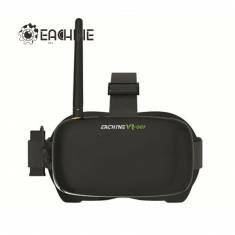 Recently, Eachine, the partnered brand of Banggood, announced the 5.8 GHZ HD VR-007 FPV Goggles, Video Glasses for $65.99. 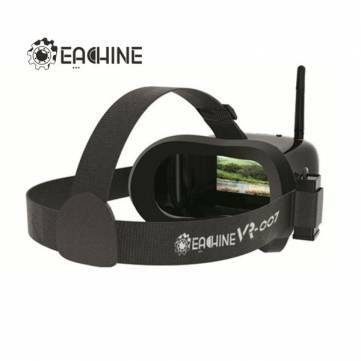 Eachine VR-007 comes with 4.3 inch display(Screen size) and a screen resolution of 480*272. 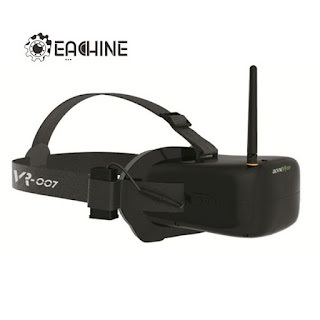 Weighing about 256 grams (excluding the battery and antenna), Eachine VR-007 FPV Goggles (video Glasses) looks compact and seems to be built with good quality. 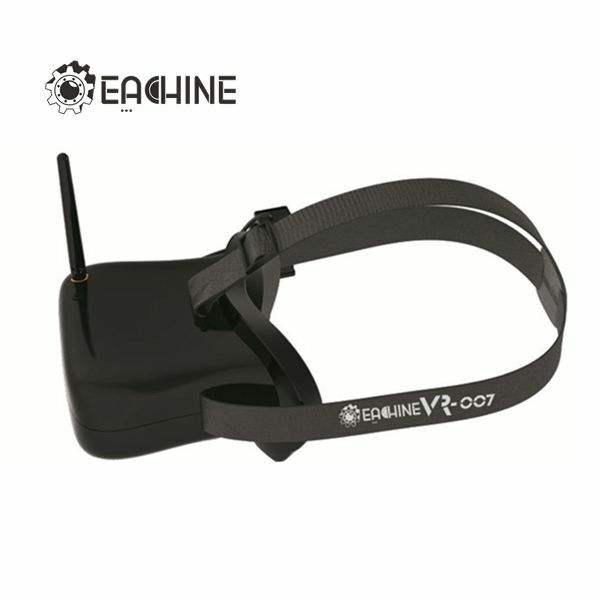 When it comes to power specifications, Er-007 operates with 7.4V 800 mAh 2s smart Lipo battery. Worth mentioning, it has the ability to charge with any USB, with 5Volts. 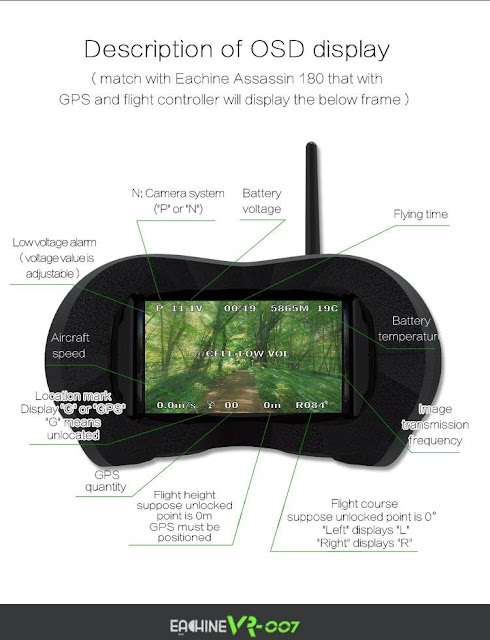 Customized eyeglass, myopia below 400°, eliminates the need to wear glasses. Great post ! I just love it, Eachine launched the new trend with its latest and cool FPV gadgets with all specifications and features with using criteria. For such a great and latest EACHINE FPV Goggles visit here.